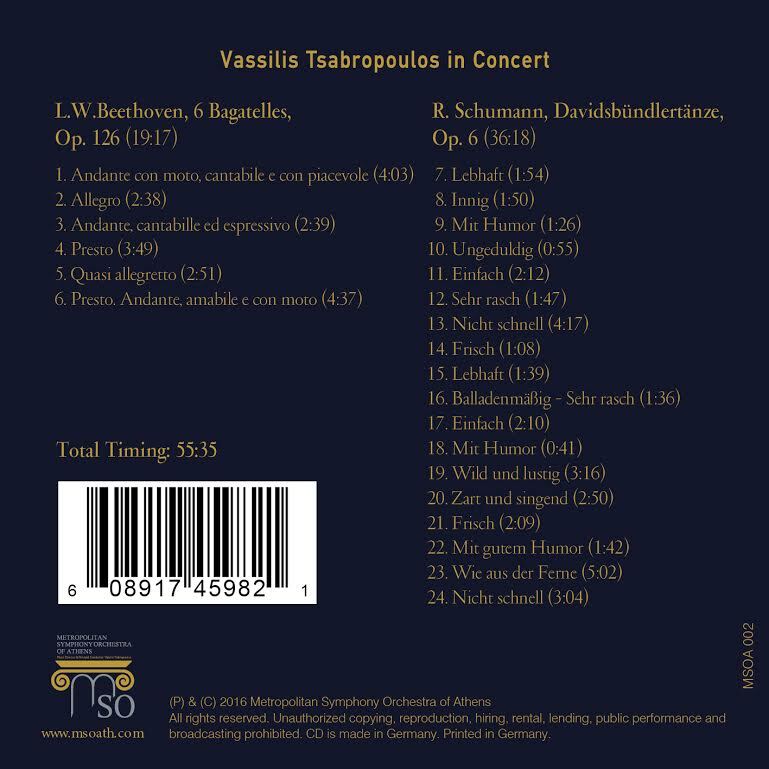 MSO records presents the new international digital release of the acclaimed Greek pianist, conductor and composer Vassilis Tsabropoulos. A fascinating new recording of the versatile pianist captured in a live recital. A virtuoso pianist, Tsabropoulos, was introduced in the international scene mainly as a composer through his deeply imaginative and intellectual music for piano, recorded successfully since 2000 by the German label ECM records. 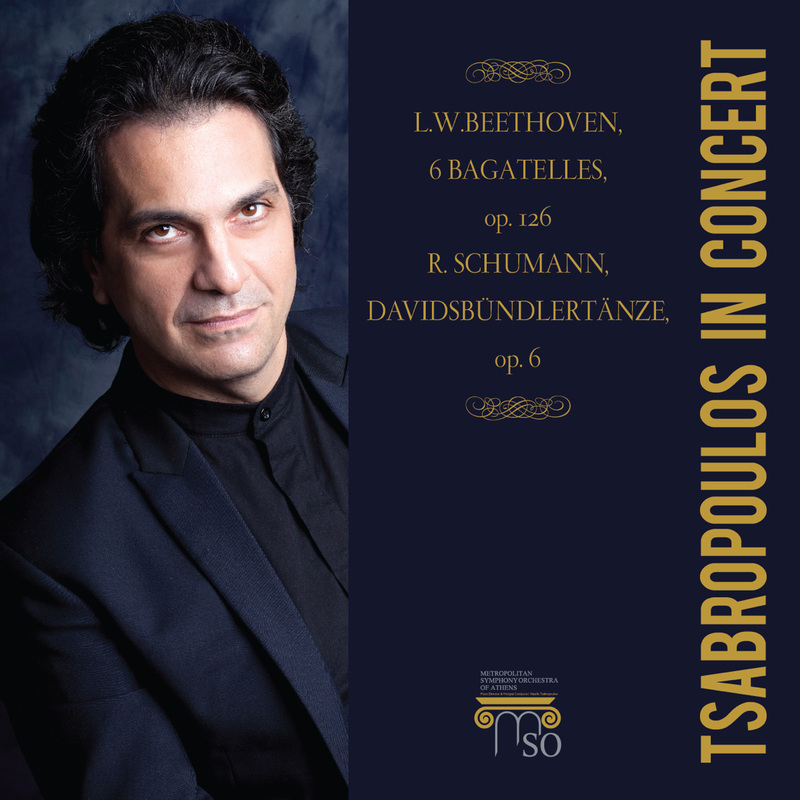 In this rare recording, presented by the new founded classic label MSO records, Vassilis Tsabropoulos explores the late Bagatelles op.126 of Beethoven and the colorful Davidsbündlertänze of Schumann. His playing combines a remarkable sense of simplicity and warmth, without exaggerations in the musical expression, an approach quite familiar on his own music. The new worldwide album is currently available on the largest digital music stores and will be released physically during the autumn 2016.